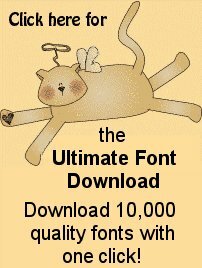 Free scrapbooking ideas, scrapbooking layouts, digital scrapbooking, quotes, fonts, sayings, graphics and heritage scrapbooking. One of the fastest growing trends in crafts is scrapbooking. Scrapbooking is the hobby of creating compilations in scrapbook albums, such as keepsakes and pictures, and is the best way to preserve your memories. 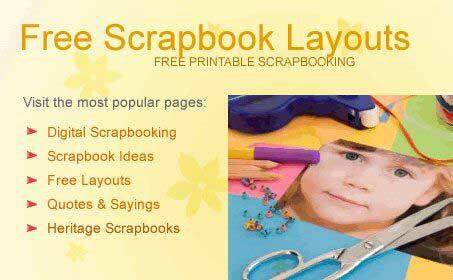 And we have all the free scrapbooking ideas and layouts from around the web, right here. By putting your memories together in a scrapbook and writing down the stories behind the photos, the scrapbook becomes a concrete, recorded document for future generations to look back at - a way of preserving family histories. Scrapbooking is a wonderfully creative way to save those special memories that happen every day. Select a topic that's important to you and start your own scrapbook. 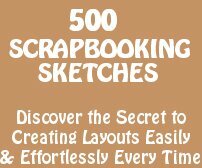 Get started with crafting's hottest trend and save money scrapbooking with free scrapbooking ideas, layouts, digital scrapbooking, quotes, fonts, sayings, graphics and heritage scrapbooking.